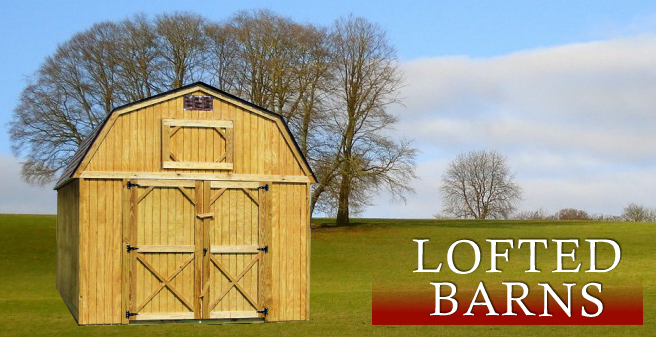 The Lofted Barn is our most popular barn. It is available in 8', 10' and 12' widths (14' & 16' available in some areas, based on hauling restrictions). The 8'-side model features a single wood door, the larger models include a double wood door (shown). All models come with a convenient loft that provides additional upper storage. Windows are not included. 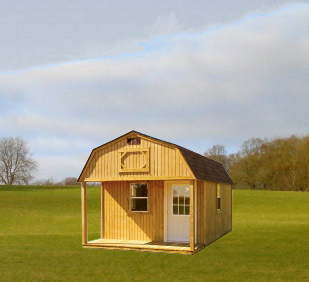 You may want a lofted barn as a tack room for your horses or a greenhouse. They are perfect for storage and can easily be moved if you move. The Derksen lofted barn cabins are better if you are looking for portable housing or a cabin to live in or use as a vacation property.